Will Splinternet Actually Make The World A Divided Place? The world is moving towards Internet of Things and Internet of Everything. Splinternet is a bit of disturbing concept in context of a world connected by the Net. Though a relatively new term, the debate on the concept has been going on for a while now. before Splinternet became popular, alternative terms such as Balkanization of the Internet or Cyber balkanization were in use. Not only this, a book also has already been written by Scott Malcomson, explaining how Geopolitics and commerce are fragmenting the World Wide Web (WWW). Without further ado, let’s give you a lowdown on what is Splinternet and what does it entail for the Internet generation . The Internet has its basic attribute “For All” and is considered beyond boundaries, religion, nationalism. It is now threatened by the possibility of splintering or dividing, and losing its universality. 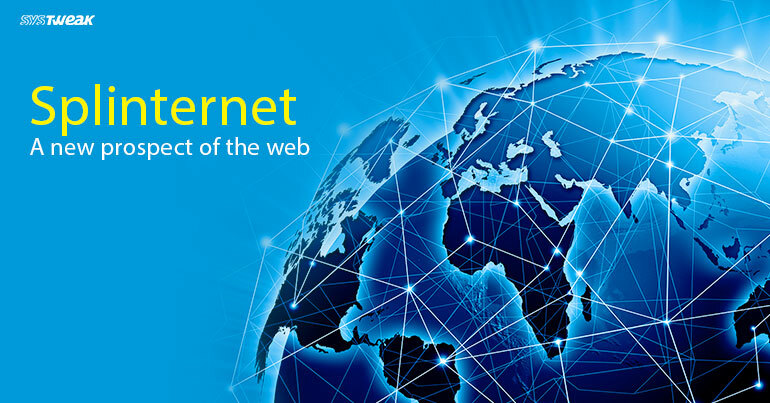 In short, Splinternet is a division of the Internet between geographical and commercial boundaries. A most common case which can help us to understand this concept even better is China. For a decade now, China has restricted the internet usage for its citizens. Facebook, Twitter and YouTube are blocked for Internet users within China. Apart from this, you can only access the official websites only if you are in China. Google, which is considered as the numero uno search engine all-around the globe is replaced by Baidu, China’s very own Search Engine. If we dig up the past then we will find that many a times, voices have been raised for balkanization of the internet. It was in the year 2013, when Brazilian President Dilma Rousseff, raised her voice in UN General Assembly and asked the countries to join hands with each other and take a step forward towards the creation of self-governing internet, boycotting the Internet hub which is owned by USA. Her statement was followed by reports that the United States was keeping an eye on her personal emails and phone calls along with monitoring Brazilian embassies as well. The reports also stated that it is not only the officials, but the personal data of the Brazilian citizens too were being intercepted. Later on, other countries like Indonesia, Turkey, India and some countries of European Union also went the Brazil way. This was the time when many of the European Union countries considered canceling data-sharing agreements with the United States. All these developments, led to a new form of the internet which is not uniform throughout the world. How Does Splinternet Affect the Worldwide Users? It is still a matter of debate whether the impact of Splinternet will be on the positive side or on the negative side. Many intellectual minds feel that rupturing the Internet will create hurdles in the way of economic cooperation between the nations. Apart from that, the free flow of information which is one major attribute of the internet will be blocked leading in an informational barrier. Technologies like Cloud Computing and Big Data which are helping small businesses to grow and are acting as a feeding ground for them will become inaccessible. On the other hand, it is believed that Splinternet will help in reducing the cyber-attacks and cyber crimes, as it is due to the ubiquitous nature of the internet that hackers can initiate the cyber-attacks from any part of the world. Willingly or unwillingly, we are moving towards a world where World Wide Web will lose its existence and internet will be divided by the global regions and boundaries. Presently, the only way in which, we can avoid this situation is by setting new laws and standards globally along with setting a central authority that can oversee and control all the activities over the internet whenever required.